Instagram has vaulted up the App Store ranking of free iPhone apps since launchinga video-recording feature last Thursday, jumping from No. 22 to No. 8 as of Monday morning. At the same time, Twitter’s Vine has slipped from No. 3 to No. 7 among free apps, leaving the rival apps nearly neck and neck in the race for downloads. Sunday was the first day since March 27 that Vine didn’t appear in the top 5 list of U.S. iPhone apps, according to tech blog BGR. Instagram said on Friday that 5 million videos were uploaded in the first 24 hours after release of its updated app allowing users to create and share 15-second videos. A year’s worth of video was uploaded in just the first eight hours. Reaction to Video on Instagram has been all over the place, judging by comments posted to the App Store. Some users have complained about problems loading video and other glitches, while others have decried Instagram becoming a Vine wannabe and sacrificing its photo-only purity. Others seem to love the addition of video, giving the app a five-star rating. 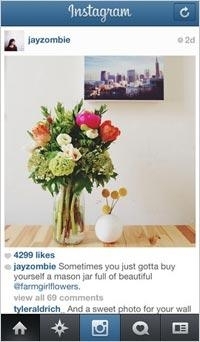 Instagram overall has maintained the four-star rating it had before adding video. With Vine expected to add new features itself soon, however, it may not be long before the video app battle turns again.